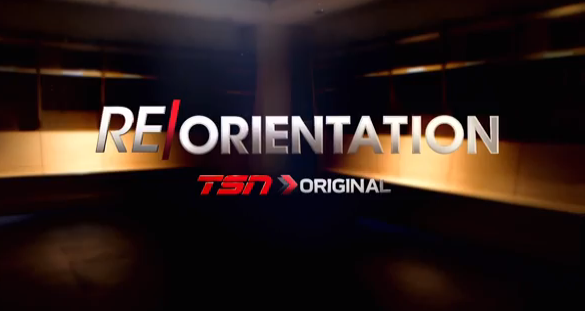 TSN's ReOrientation series, which first aired Wednesday through Friday on editions of SportsCentre, marked a bold step for the network. The series, hosted by former NHL player and current TSN analyst Aaron Ward and directed by Gemini Award-winning TSN producer Mike Farrell, examined the current state of homophobia and locker-room acceptance across sports, and it featured impressive interviews with the likes of former NFLers such as Esera Tuaolo and Chris Kluwe, You Can Play's Wade Davis and Patrick Burke, NHL commissioner Gary Bettman and current NHL players Dustin Brown and Ben Scrivens Ward's own experience in locker rooms as both a player and a coach also came into play. All of these are worth a look, but the third part with L.A. Kings players Dustin Brown and Ben Scrivens (who's since been traded to Edmonton) is particularly interesting. With those interviews, TSN captures an important angle to this issue, but one that isn't necessarily discussed as much: how do current players see it? What goes on in locker rooms, and does the behaviour there need to change? Homophobia in sports is a complex and difficult issue, and it certainly can't be completely captured, much less solved, in under half an hour of television, but TSN does an excellent job here of portraying where things are at, and they'll likely start plenty of further conversations with this project. It's not your typical sports TV, but it's well worth watching.